Ticket holders of Mumbai City FC matches in Mumbai can also avail of 50 percent discount (up to Rs 75) on rides to the stadium. Ride-sharing app Uber has announced its partnership with Mumbai City FC under this former will be the 'official mobility partner' of later for the on-going season of Indian Super League. "We're looking forward to working with Mumbai City FC to promote the sport here. As the mobility partners of the team, our aim is to give Mumbai City FC fans a hassle-free, safe and reliable way to travel to and from the stadium," said Shailesh Sawlani, General Manager, Uber India, West. All through the ISL season, Mumbai City FC fans can avail of special ride discounts on all the days the team plays in Mumbai. Ticket holders of Mumbai City FC matches in Mumbai can also avail of 50 percent discount (up to Rs 75) on rides to the stadium. Additionally, Uber will set up special kiosks on the ground called UberDOST to help people book rides and ease the post-match rush. Commenting on the partnership, Indranil Das Blah, CEO - Mumbai City FC said, "We are pleased to announce our association with Uber for the upcoming season of the Hero ISL. Accessibility to the stadium is an important component for spectators and this association will help in creating a better and more comfortable fan experience." 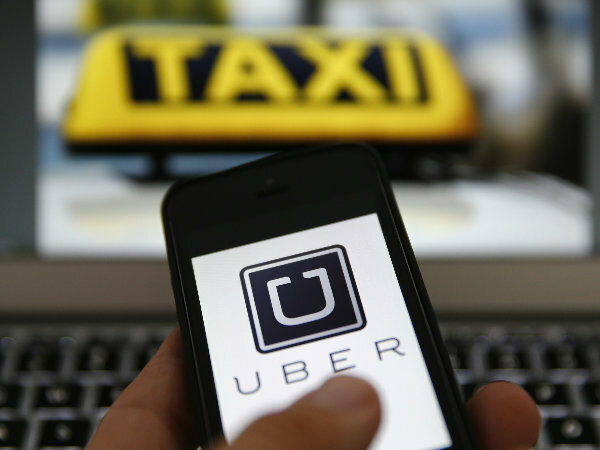 Meanwhile, the ride-sharing app has recently launched m.uber.com, a light web-based version of Uber in India. In addition to m.uber.com, the company also pilots three new app features - offline search, request a guest and call to ride. The light web-based version of Uber provides riders with another convenient option to book an Uber. This feature will be helpful for riders who have basic smartphones, that can support web browsing but cannot support mobile apps due to limited storage space, or want to book a ride from a tablet or computer.